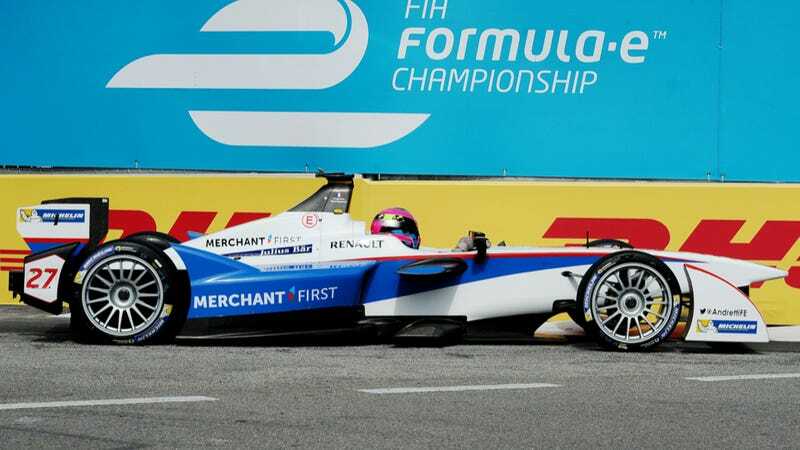 Franck Montagny, Andretti Autosport's Formula E driver, had a drug test after the Malaysian round of the series. He tested positive for cocaine, and was suspended by the FIA. And, amazingly, he's admitting that he did it. A positive drug test for an athlete usually results in a number of denials, claims that the test was wrong and they just ate a poppy seed bagel, and then a press conference that admits they "made a mistake." For his part, Montagny isn't denying it or saying the test was wrong. He admits it and says that he "made a mistake" and that he "is guilty." It's admirable that he'd actually say he's wrong. It's not admirable that he'd be an idiot and do coke. According to the internet (and definitely not personal experience), you'll test positive for coke in your urine two to four days after using it. That means there is a very solid chance that he did cocaine right before or during the race weekend, knowing full well that it could be detected in a drug test after the race. Montagny isn't sure what the FIA's final decision will be on his future, but he does admit that his racing career could be over. Oh well.